RH Series Jacking Castor is our best selling jacking castor as you can achieve a 200mm lift, with a simple to use integral jacking lever arm. 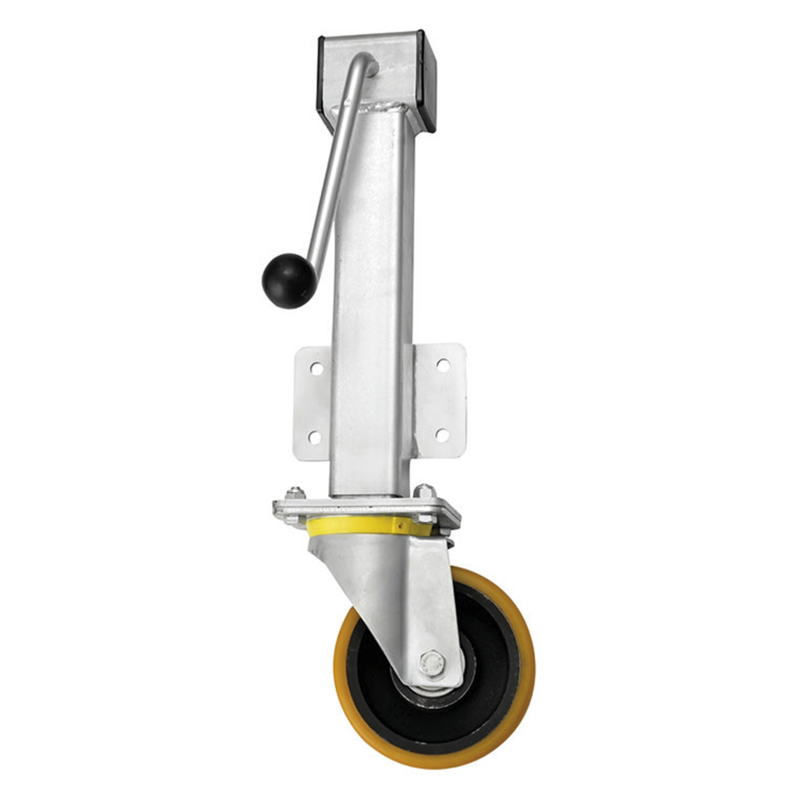 These jacking castors with a polyurethane wheel are ideal for either raising, or lowering and then moving very heavy equipment. With a choice of jacking wheel sizes, the larger the wheel the heavier the load it is able to carry. With side plates for attachment and a winding lever arm for easy adjustment, these jacking castors are easy to use to relocate very heavy equipment. Choose from the range of jacking castors supplied with or without a brake.